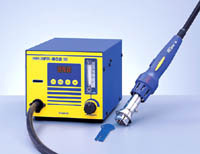 DIGITAL SMD REWORK STATION The FR-802 is one of the new generation of SMD rework systems from Hakko. Process controllable. Use the lockout key card to enter temperature settings into the system memory, then when the card is removed, all parameter settings are locked into the system memory and cannot be changed without the key card. This feature guards against an operator making accidental or unauthorized temperature changes. Built-in power save feature automatically turns the hot air stream off if the unit has not been stopped for a pre-selected (30 or 60 minutes) amount of time. Digital LED temperature display (°F or °C). An integrated temperature sensor that allows for consistent and accurate temperature control. A unique nozzle outlet for consistent temperature of the hot air stream generated by the unit. A self-contained air source. 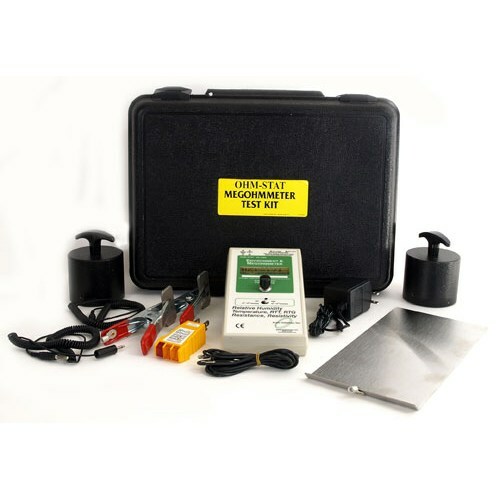 Easy-to-read variable airflow meter. Automatic cool-down automatically engages when stop button pressed. Compact design uses less work area than previous models. ESD safe by design. Part Number: FR802-11.